The A La Carte 16 piece dining set consists of everything you need to dine out in style whilst on your camping or caravanning trip. With 4 dinner plates, 4 side plates, 4 bowls and 4 cups, this is the perfect set for a family of 4. 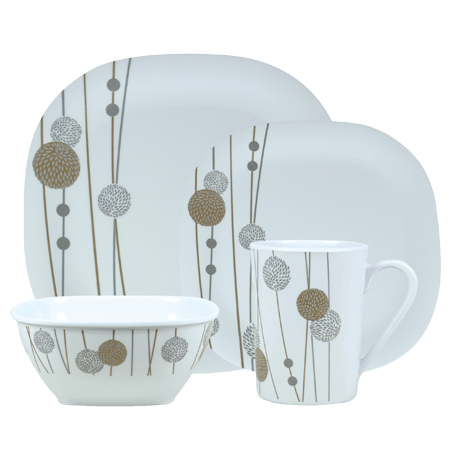 Made from 100% melamine and boasting a highly elegant design, the set is also of a high quality and designed to last. For you convenience, it is also completely dishwasher safe.